Caetlin Benson-Allott is Director and Associate Professor of Film and Media Studies at the University of Oklahoma. She is the author of Killer Tapes and Shattered Screens: Video Spectatorship from VHS to File Sharing (2013) and Remote Control (2015). Her work on spectatorship, video technologies, sexuality, and genre has appeared in Cinema Journal, Film Quarterly, the Journal of Visual Culture, and Feminist Media Histories, among other journals, and in multiple anthologies. Paul Bowman teaches media and cultural studies at Cardiff University. He is author of numerous books, including Martial Arts Studies (2015), Reading Rey Chow (2013), Beyond Bruce Lee (2013), Culture and the Media (2011), Theorizing Bruce Lee (2010), Deconstructing Popular Culture (2008) and Post-Marxism versus Cultural Studies (2007). He has also edited several books, including Rancière and Film (2012), The Rey Chow Reader (2010), Reading Rancière (2009) and The Truth of Žižek (2006). He has edited issues of journals such as Parallax, Social Semiotics, Postcolonial Studies, and Educational Philosophy and Theory, and is the founding editor of two online open access journals: JOMEC Journal (2012-) and Martial Arts Studies (2015-). He is currently Editor in Chief of Cardiff University Press and writing a book entitled Mythologies of Martial Arts. Felix Brinker is a doctoral candidate at the John F. Kennedy Institute’s Graduate School of North American Studies at the Free University of Berlin, as well as an associate member of the DFG Research Unit “Popular Seriality – Aesthetics and Practice.” He holds a BA in American Studies and Political Science, as well as an MA in American Studies from Leibniz University Hannover, where he completed his studies in 2012 with a thesis on “The Aesthetics of Conspiracy in Contemporary American Serial Television.” His dissertation project discusses the media franchises built around recent superhero blockbuster films as examples of a neoliberal popular culture. His research interests include popular seriality, film and television studies, media theory, critical theory, and the politics of American popular culture. Kristopher L. Cannon is an Assistant Teaching Professor in Media & Screen Studies at Northeastern University. His research examines how queer and digital aesthetics of failure re/figure visible forms of bodies and beings, and has been published in Critical Studies in Media Communication, Photography & Culture, and Spectator. Francesco Casetti is the Thomas E. Donnelly Professor of Humanities and Film and Media Studies at Yale. He has previously taught in Italy where he served as President of the scholarly society of Film and Media Studies. He has been Visiting Professor at Paris 3 La Sorbonne Nouvelle, at the University of Iowa, and at Harvard; held fellowships at Otago University and at the Bauhaus University-Weimar; and been named the Chair of Italian Culture as a distinguished scholar at UC Berkeley. Among his books there are Inside the Gaze, Theories of Cinema, 1945-1995 and Eye of the Century: Film, Experience, Modernity. His last work is a theoretical approach to the reconfiguration of cinema in a post-medium epoch, The Lumière Galaxy: Seven Key Words for the Cinema to Come (Columbia, 2015). Elena del Río is Professor of Film Studies at the University of Alberta, Canada. 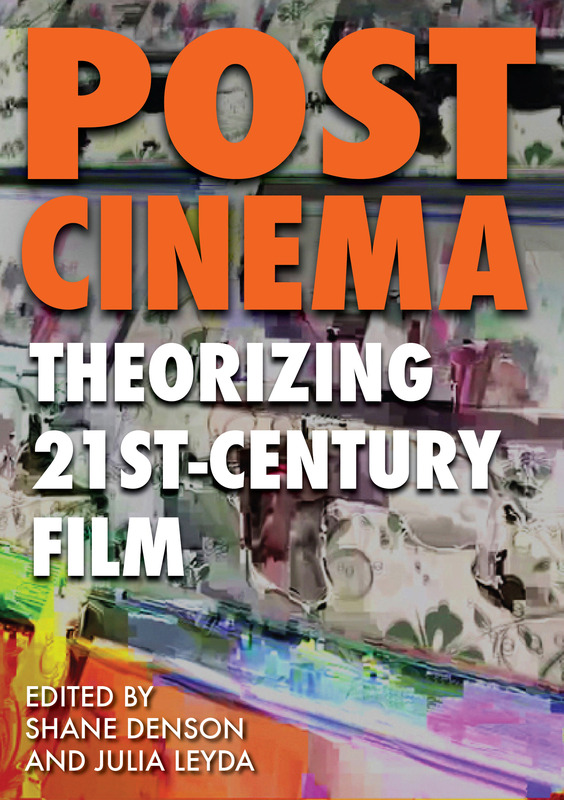 Her essays on the intersections between cinema and philosophies of the body in the areas of technology, performance, and affect have been featured in journals such as Camera Obscura, Discourse, Science Fiction Studies, Studies in French Cinema, Quarterly Review of Film and Video, Film-Philosophy, The New Review of Film and Television Studies, Canadian Journal of Film Studies, SubStance, and Deleuze Studies. She has also contributed essays to volumes on the films of Atom Egoyan, Rainer W. Fassbinder, and the philosophy of film, and Deleuze and cinema. She is the author of Deleuze and the Cinemas of Performance: Powers of Affection (Edinburgh, 2008) and The Grace of Destruction: A Vital Ethology of Extreme Cinemas (Bloomsbury, 2016). Rosalind Galt is a Professor of Film Studies at King’s College London. Her publications include Queer Cinema in the World (co-authored with Karl Schoonover, Duke UP, forthcoming), Pretty: Film and the Decorative Image (Columbia UP, 2011), Global Art Cinema: New Theories and Histories (co-edited with Karl Schoonover, OUP, 2010), and The New European Cinema: Redrawing the Map (Columbia UP, 2006). Therese Grisham teaches film studies and humanities at Oakton Community College in Des Plaines, Illinois. Grisham is also an instructor in the Film School at Facets Multimedia in Chicago, where she has taught courses on genres, film history, and directors. She served on the editorial board of La Furia Umana and is currently an editorial consultant at desistfilm. Her essays have been published in Screen, Wide Angle, and as book chapters. Grisham is co-authoring, with Julie Grossman, a book on Ida Lupino’s directing for film and television, forthcoming from Rutgers UP. Richard Grusin is Professor of English at University of Wisconsin-Milwaukee, where he directed the Center for 21st Century Studies from 2010-2015. His work concerns historical, cultural, and aesthetic aspects of technologies of human and nonhuman mediation. With Jay David Bolter he is the author of Remediation: Understanding New Media (MIT, 1999), which sketches out a genealogy of new media, beginning with the contradictory visual logics underlying contemporary digital media. Culture, Technology, and the Creation of America’s National Parks (Cambridge, 2004), focuses on the problematics of visual representation involved in the founding of America’s national parks. Premediation: Affect and Mediality After 9/11 (Palgrave, 2010), argues that socially networked US and global media work to pre-mediate collective affects of anticipation and connectivity, while also perpetuating low levels of apprehension or fear. Most recently he is editor of The Nonhuman Turn (Minnesota, 2015) and Anthropocene Feminism (forthcoming Minnesota, 2016). Leon Gurevitch is Deputy Head of School, Royal Society Research Scholar, and Senior Lecturer of computer-generated culture at the University of Wellington, Aotearoa/New Zealand. He has published widely and is an Associate Editor of Animation: An Interdisciplinary Journal. His research focuses on software culture, new media, design, science, and technology. His current research project is a major three-year study of visual effects industries and the migration patterns of code and coders around the world. Mark B. N. Hansen teaches in the Literature Program and in Media Arts & Sciences at Duke University. 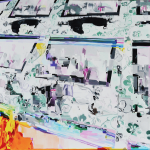 His work focuses on the experiential and nonrepresentational effects of technologies. Hansen is author of Embodying Technesis: Technology Beyond Writing, New Philosophy for New Media, and Bodies in Code, as well as numerous essays on cultural theory, contemporary literature, and media. He has co-edited The Cambridge Companion to Merleau-Ponty, Emergence and Embodiment: New Essays on Second-Order Systems Theory, and Critical Terms for Media Studies. His book, Feed-Forward: The Future of Twenty-First-Century Century Media, was published by Chicago in 2015. His current projects include Designing Consciousness, Logics of Futurity, and Topology of Sensibility: Towards a Speculative Phenomenology. Bruce Isaacs is Senior Lecturer in Film Studies at the University of Sydney. He has published work on film history and theory, with a particular interest in the deployment of aesthetic systems in classical and post-classical American cinema. He is the author of the monographs The Orientation of Future Cinema: Technology, Aesthetics, Spectacle (Bloomsbury, 2013) and Toward a New Film Aesthetic (Continuum, 2008), and is co-editor of the special journal issue, The Cinema of Michael Bay: Technology, Transformation, and Spectacle in the ‘Post-Cinematic’ Era (Senses of Cinema, June, 2015). He is currently working on a large-scale project on genre cinema, examining aesthetic points of contact in the work of Sergio Leone, Dario Argento, Brian De Palma and Quentin Tarantino. Adrian Ivakhiv is Professor of Environmental Thought and Culture at the University of Vermont’s Rubenstein School for Environment and Natural Resources. His interdisciplinary work spans the fields of environmental studies, media and cultural studies, human geography, philosophy and religious studies. His most recent book, Ecologies of the Moving Image: Cinema, Affect, Nature (2013), presents an ecophilosophical perspective on the history of cinema. He blogs at Immanence: Ecoculture, Geophilosophy, Mediapolitics <http://blog.uvm.edu/aivakhiv/>. Kylie Jarrett is a Lecturer in Multimedia in the Department of Media Studies at the National University of Ireland Maynooth. Her research focus is the political economy of the commercial Web and she has published on a range of digital media sites such as eBay, Facebook, and YouTube. With Ken Hillis and Michael Petit she is author of Google and the Culture of Search (Routledge). She is about to publish Feminism, Labour and Digital Media: The Digital Housewife (Routledge) in which she advocates for using Marxist feminist perspectives on domestic work to analyze consumer labor in digital media. Selmin Kara is an Assistant Professor of Film and New Media at OCAD University. She has critical interests in digital aesthetics and tropes related to the Anthropocene and extinction in cinema as well as the use of sound and new technologies in contemporary documentary. Selmin is the co-editor of Contemporary Documentary and her work has also appeared or is forthcoming in Studies in Documentary Film, Poiesis, the Oxford Handbook of Sound and Image in Digital Media, Music and Sound in Nonfiction Film, and The Philosophy of Documentary Film. Patricia MacCormack is Professor of Continental Philosophy at Anglia Ruskin University Cambridge. She has published extensively in the areas of Continental Philosophy, Queer Theory, feminism, animal studies, teratology, spectatorship, and horror film. She is the co-editor of Deleuze and the Schizoanalysis of Cinema (2008), the editor of The Animal Catalyst: Toward Ahuman Theory (2014) and the author of Cinesexuality (2008) and Posthuman Ethics (2014). She is currently editing Deleuze and the Animal (2016) and Ecosophical Aesthetics (2016) and is writing on extinction, abolition, and affirmation. Lev Manovich is the author of seven books including Software Takes Command (Bloomsbury Academic, 2013), Soft Cinema: Navigating the Database (The MIT Press, 2005), and The Language of New Media (The MIT Press, 2001) which was described as “the most suggestive and broad ranging media history since Marshall McLuhan.” Manovich is a Professor at The Graduate Center, CUNY, and a Director of the Software Studies Initiative that works on the analysis and visualization of big visual cultural data. In 2013 he appeared on the list of “25 People Shaping the Future of Design.” In 2014 he was included in the list of “50 Most Interesting People Building the Future” (The Verge). Ruth Mayer holds the chair of American Studies at Leibniz University in Hannover, Germany. She has published in English and in German, with a strong focus on modernity, serialization, and the practices and aesthetics of mass culture. Her most recent book is Serial Fu Manchu: The Chinese Super-Villain and the Spread of Yellow Peril Ideology (Temple UP, 2014). She is a member of the research unit “Popular Seriality: Aesthetics and Practice” (Berlin-Hannover-Göttingen), where she is currently directing a project on the cultural productivity of film serials from 1910 to 1940. Michael O’Rourke is a visiting professor at Institute of Social Sciences and Humanities Skopje, Dublin Independent Colleges, The Global Center for Advanced Studies, and others. He is an author of Queer Insists (Punctum Books, 2014), which appeared on the list of 101 important books in the field of critical theory published by critical-theory.com. Patricia Pisters is professor of film studies at the Department of Media Studies of the University of Amsterdam and director of the Amsterdam School of Cultural Analysis (ASCA). She is one of the founding editors of NECSUS: European Journal of Media Studies. She is program director of the research group Neuraesthetics and Neurocultures and co-director of the research group Film and Philosophy. Publications include The Matrix of Visual Culture: Working with Deleuze in Film Theory (Stanford UP, 2003); Mind the Screen (ed. with Jaap Kooijman and Wanda Strauven, Amsterdam UP, 2008), and The Neuro-Image: A Deleuzian Film-Philosophy of Digital Screen Culture (Stanford UP, 2012). Her latest book Filming for the Future is on the work of documentary filmmaker Louis van Gasteren (Amsterdam UP, 2015). For articles and other information, see her blog <http://www.patriciapisters.com>. Alessandra Raengo is Associate Professor of Moving Image Studies in the Department of Communication at Georgia State University and coordinator of liquid blackness, a research project on blackness and aesthetics. Her work focuses on blackness in the visual and aesthetic field and her essays on contemporary African-American art, black cinema and visual culture, and race and capital have appeared or are forthcoming in Camera Obscura, Adaptation, The World Picture Journal, Discourse, and several anthologies. She is the author of On the Sleeve of the Visual: Race as Face Value (Dartmouth College Press, 2013) and Critical Race Theory and Bamboozled (Bloomsbury, 2016). With Robert Stam, she has also co-edited two anthologies on adaptation studies, Literature and Film and A Companion to Literature and Film (Blackwell, 2004 and 2005). David Rambo is a Ph.D. Candidate in Literature at Duke University. His writing and teaching consider the intersection of materialist philosophy, media theory, and contemporary cultural forms including fiction, film, and video games. Currently he is at work on a dissertation regarding the generic category of technicity as a mediating concept between 20th-century French rationalism, Bernard Stiegler’s technological phenomenology, and Whitehead’s speculative cosmology. 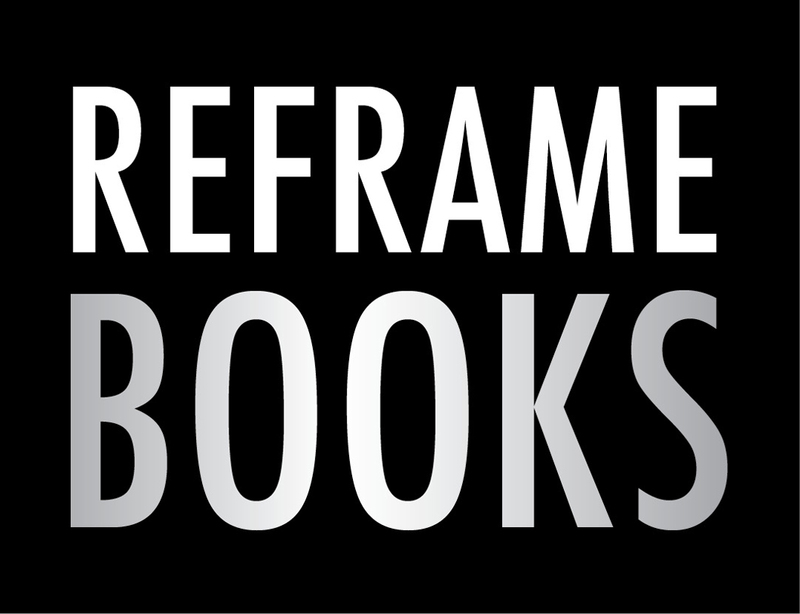 Nicholas Rombes is author of Cinema in the Digital Age (Columbia UP) and 10/40/70: Constraint as Liberation in the Age of Digital Film Theory (Zero). He is a professor in Detroit, Michigan. Sergi Sánchez holds a Ph.D. in Film and Media Studies from Universitat Pompeu Fabra (UPF), where he teaches digital cinema and television history. He is also the head of the Film Studies department at ESCAC (Escola de Cinema i Audiovisuals de Catalunya). He is the author of Hacia una imagen no-tiempo: Deleuze y el cine contemporáneo (Ediciones de la Universidad de Oviedo). He worked as a Programming Manager for TCM Spain between 2000 and 2003, and he contributes to various Spanish newspapers as a film and literary critic. He has published several books on cinema (on Akira Kurosawa, Terry Gilliam, Michael Winterbottom, Hal Hartley, and cinema and electronic music) and articles in collections (on Abel Ferrara, Dario Argento, Jacques Demy, Robert Rossen, Don Siegel, Georges Franju, Alain Resnais, Nagisa Oshima, and Australian SF, among others). Karin Sellberg is a postdoctoral research fellow at the Institute for Advanced Studies in the Humanities, University of Queensland. She’s a literary and cultural theorist, with a specific interest in discourses of gender, sexuality and embodiment. She has published widely on conceptions of the body in (and out of) time in contemporary literature and cinema. Steven Shaviro is the DeRoy Professor of English at Wayne State University. He is the author of, among other works, The Cinematic Body, Post-Cinematic Affect, and Melancholia, or, The Romantic Anti-Sublime. Michael Loren Siegel is an independent scholar who holds a Ph.D. in Modern Culture and Media from Brown University. His work uses 1970s and 80s Italian cinema and contemporary Hollywood films to theorize the relationship between film form, the neoliberalization of space, labor, and subjectivity, and the emergence of the digital. He has published and presented on filmmakers such as Dario Argento, Michelangelo Antonioni, Wes Craven, Harmony Korine, Tony Scott, and Nancy Meyers. His current project is a book-length study of Italian horror cinema entitled Nightmares of Neoliberalism. Vivian Sobchack is Professor Emerita in the Department of Film, Television, and Digital Media and former Associate Dean of the UCLA School of Theater, Film, and Television. Her books include Screening Space: The American Science Fiction Film; The Address of the Eye: A Phenomenology of Film Experience; Carnal Thoughts: Embodiment and Moving Image Culture; and two edited volumes, The Persistence of History: Cinema, Television, and the Modern Event and Meta-Morphing: Visual Transformation in the Culture of Quick Change. Her essays have appeared in numerous anthologies, and in journals such as Film Comment, Film Quarterly, Camera Obscura, Quarterly Review of Film and Video, Animation: An Interdisciplinary Journal, Artforum International, Body and Society, History and Theory, and Representations. In 2012, she was honored with the Society for Cinema and Media Studies’ Distinguished Career Achievement Award for the significant impact her wide-ranging work has had on the field. Billy Stevenson completed his PhD at the University of Sydney in 2015, focusing on the relations between post-cinematic media, the cinematic venue, and urban infrastructure. He is currently working on a post-cinematic history of Los Angeles as well as a theory of infrastructuralism that takes into account the ways in which cinephilic attachment to cinematic infrastructure has changed in the wake of digital delivery technologies. In addition to academic writing, he is the author of the websites https://cinematelevisionmusic.wordpress.com and https://sportbestpleases.wordpress.com and is currently working on a web series about contemporary streaming platforms. Andreas Sudmann is a research associate at the John F. Kennedy Institute for North American Studies (Freie Universität Berlin) and member of the Research Unit “Popular Seriality—Aesthetics and Practice” (funded by the German Research Foundation since 2010), co-directing the sub-project “Digital Seriality” with Shane Denson (Duke University). Previously, he directed the Media Studies division of the Center for Interdisciplinary Media Studies at the University of Göttingen. Until 2012 he served as co-editor of Zeitschrift für Medienwissenschaft and was chief editor of the Game Studies journal Eludamos. His current research interests revolve around questions addressing the aesthetics, politics, philosophy, and archaeology of popular and digital media.